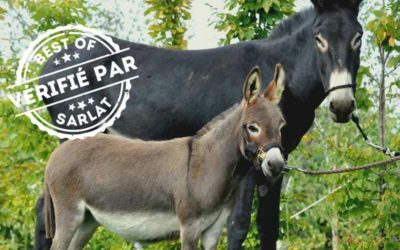 Farmers-Producers in Sarlat: direct sale of products from the farm to enjoy the freshest possible products. Long ago, during walks in the forests of Périgord, I felt under the charm of these buildings with remarkable architecture. I decided to make them in miniature. 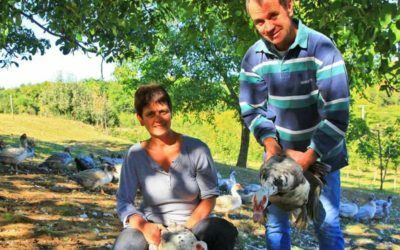 For seventeen generations, the waterfowl have been raised at the farm of the Roumevies, between Sarlat-la-Canéda and the gardens of the Manoir Eyrignac in Salignac-Eyvigues. At cuisines references Sarlat, Bruno Laval and the whole team welcome you and advise you in a friendly atmosphere, to imagine the kitchen of your dreams! Your store Mister Meuble Sarlat welcomes you all year to offer you a range of furniture for a house that looks like you. 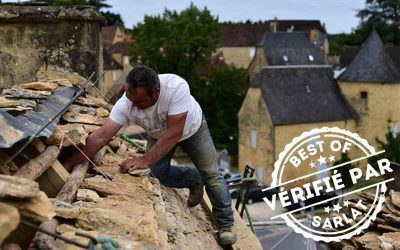 Interior decorator in Sarlat-la-Canéda, surroundings and even a little further why not! My goal is to bring to my clients a design decorated and arranged their interiors by mixing their desires and their needs. In the heart of the most beautiful villages of Dordogne. 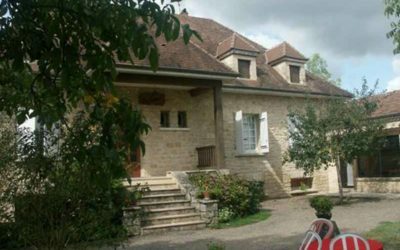 Discover a selection of property to buy in Sarlat and in Perigord. 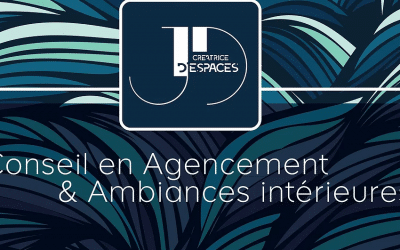 Immobilier du futur – real estate is at your side to facilitate your search. The Fénelon Castle is located in the Dordogne, in the centre of the triangle formed by the towns of Sarlat, Souillac and Gourdon. 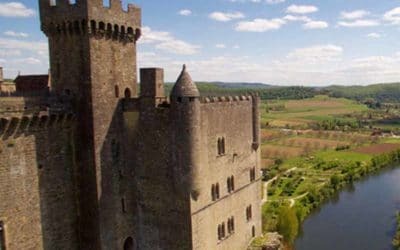 It stands on the heights of the commune of Saint-Mondane where it dominates the valleys of the Dordogne and the Bouriane. All our animals are raised from the age of one day on our family farm in the heart of Périgord Noir, then bred and fed to cereals and maize produced on our land. 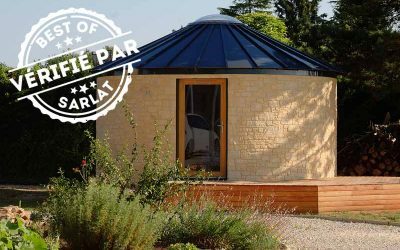 Renovation, creation and cover of your roof in real Lauze (slate). Thierry Chapoulie perpetuates The art of the Lauziers in Saint-Geniès. The work of the Lauze offers rare achievements. The techniques are ancestral. 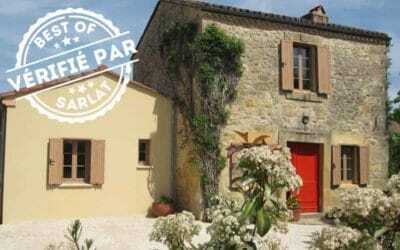 Browsing a new place at your own pace is a disconcerting facility with an inexpensive car rental in Sarlat La Caneda. When you arrive, go directly to the adventure and plan excursions and outings for places of interest nearby. 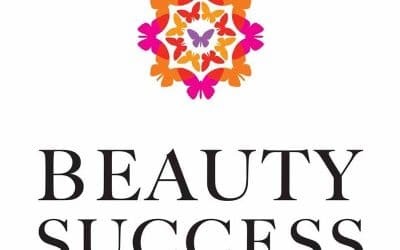 Our beauty advisors, recognized for the quality of their hospitality and their professionalism are attentive to guide you and advise you among a wide choice of products of perfumery, care and makeup of all the greatest brands. 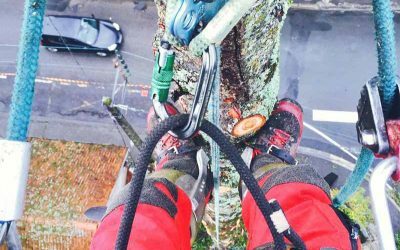 Grading climber graduated from state performing your work of pruning, slaughtering and dismantling of trees that can be dangerous. 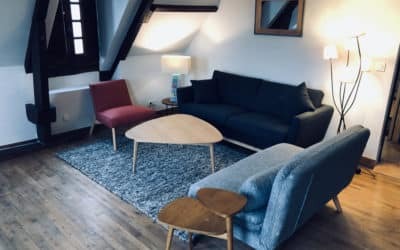 Live in the heart of the Périgord Noir an atypical and charming experience by staying in a round guest room made with wood frame completely insulated, independent, and equipped with real comfort! 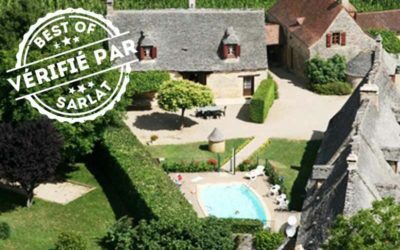 Le Clos de Carol is located in the heart of Périgord Noir, a few minutes from Sarlat and Lascaux. 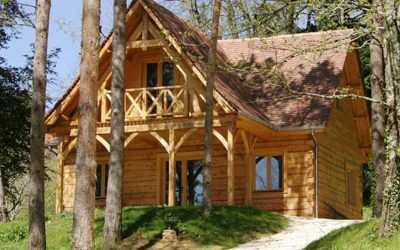 The cottage can comfortably accommodates 8 people in a pleasant and natural environment. 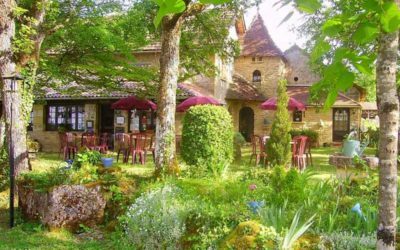 In the heart of Périgord Noir in the Golden Triangle Lascaux/Sarlat/Les Eyzies, 5 minutes from the caves of Lascaux, 7mn de Montignac and 15mn de Sarlat, the Domaine du Terroir offers a Restaurant, a hotel and its cannery on a wooded area of 25 hectares. 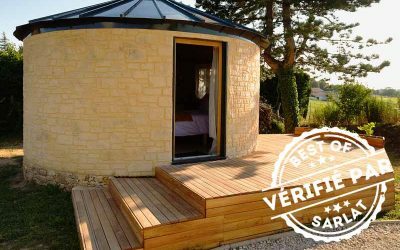 The H2BC company (low consumption circular wood housing) Young family business, based in the Périgord Noir on Saint-Genies (24590), was created in May 2017. 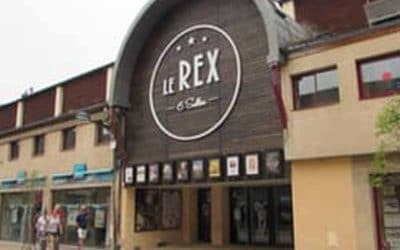 Your cinema Le Rex in Sarlat welcomes you with updated weekly programming, premieres and events. 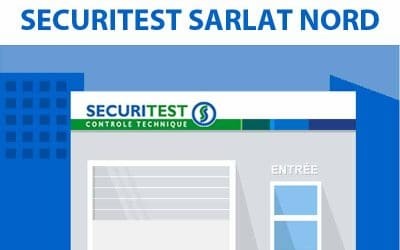 Our Centre SECURITEST SARLAT NORD The Caneda welcomes you for the visit of the technical control of your vehicle or the counter-visit. 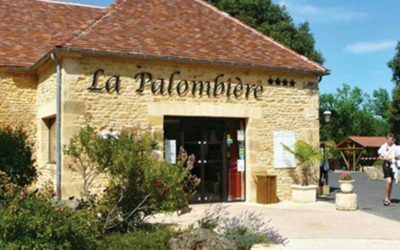 Just a few steps from Sarlat, the factory is a place offering products created by authentic and passionate artisans or producers, it is also a place of exchange and meetings around local handicrafts and all forms of art. A small rural and pastoral village, The meadows of the tree are set on a shady hillside planted with a pinewood of high trees. 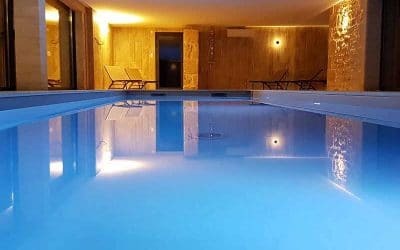 Close to Sarlat-la-Canéda and Domme, in the heart of Périgord Noir, we welcome you in the forest of Groléjac and invite you to the most complete displacement, in a chic and relaxed setting. 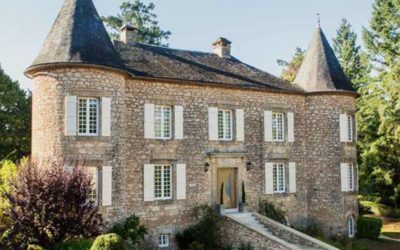 Welcome to the Dovecote, in the Dordogne Valley, in the heart of Périgord Noir, in La Roque Gageac. 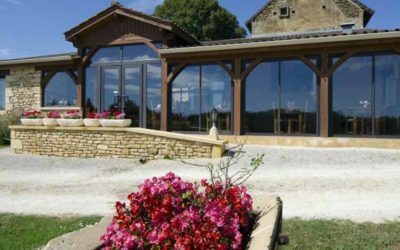 (6 km from Sarlat, 3 km from Domme, Beynac, Castelnaud, 30 minutes from Les Eyzies and Lascaux). 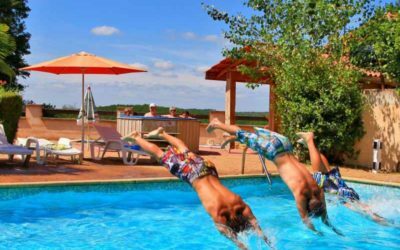 Located near the Dordogne Valley and its sights, Montalieuhaut dominates the Céou valley, facing Domme (from its hill); This typical hamlet, in its green surroundings, promotes a convivial atmosphere and offers to live a holiday in nature. 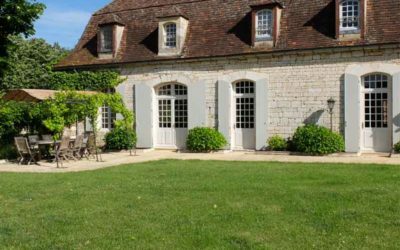 Your agency Sarlat Le pontet du Crédit Agricole Charente-Périgord welcomes you from Tuesday to Saturday. Make an appointment with an adviser to discover our banking and insurance products. 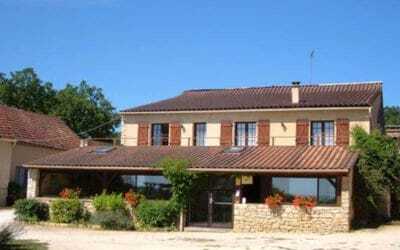 Your Sarlat-Gambetta agency of Crédit Agricole Charente-Périgord welcomes you from Tuesday to Saturday. Make an appointment with an adviser to discover our banking and insurance products. Dominique and Denis Devi welcome you in the heart of Périgord Noir in one of the two gites of the chocolate. 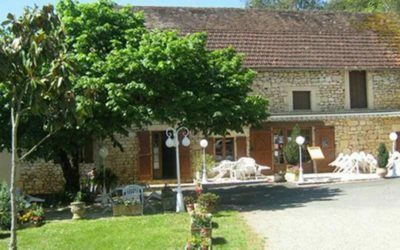 These two accommodations provide an ideal base for discovering the riches of the Dordogne. 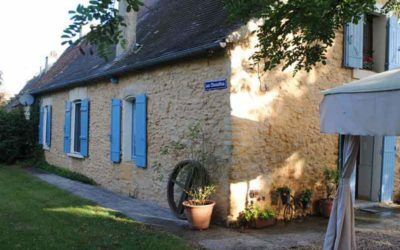 Located in Saint-Geniès in the Dordogne, between Sarlat and Lascaux in the heart of the Black Perigord, the Gîtes de Plamont are authentic gites of character of the 16th century. Your family vacation in the animal community. 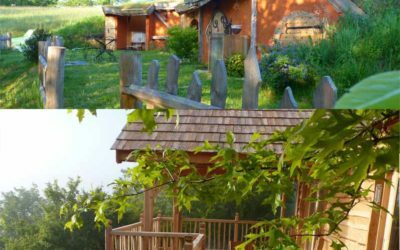 The Domaine de Beaugarry offers you a new experience with animals, in one of the most beautiful regions of France. 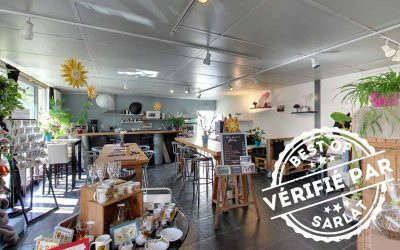 The 4 stars gîte Les Sunflowers welcomes you in a family atmosphere and unique on the banks of the Dordogne. 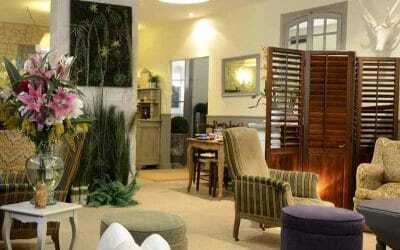 Enjoy your holiday in a quiet environment and enjoy many activities around your home. 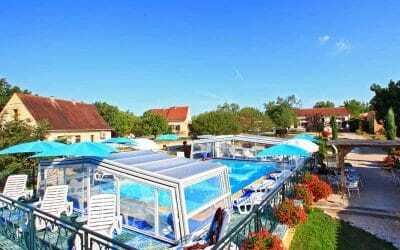 Located at the foot of the medieval city of Belvès, one of the most beautiful villages in France, Camping La Lénotte offers ideal conditions for an exceptional holiday. 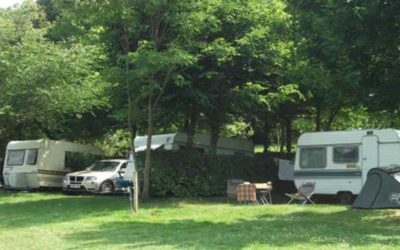 In Castelnaud La Chapelle our 3-star campsite in Dordogne, new-Aquitaine is made up of 140 spacious pitches of 100m ² minimum, delimited and shaded or shady choice. 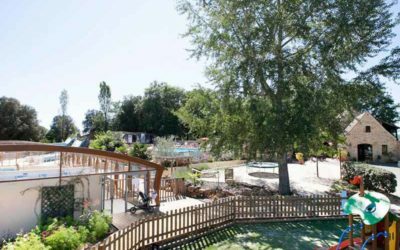 The campsite Au Petit Bonheur, located between Sarlat and Rocamadour, labeled camping quality since 2008, welcomes you in a green setting overlooking the valley of the Dordogne and the Périgord. 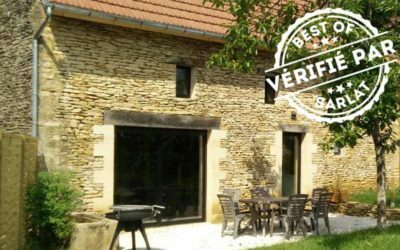 Located in the heart of the Périgord Noir (12km from Sarlat) and close to the Lot, the domaine of the hot stones will welcome you in a rural setting decorated with a family atmosphere. 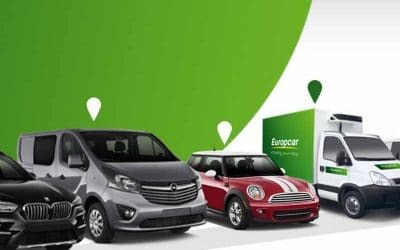 Capacity 122 seats including 20 Mobil homes and 2 Perigord houses. 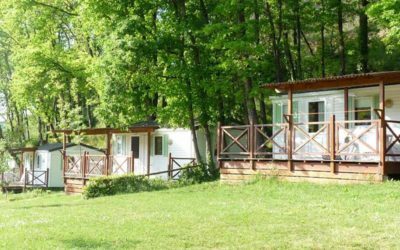 La Palombière, 5 star campsite in Sarlat in the Dordogne Périgord Noir, offers the rental of mobile homes and chalets. 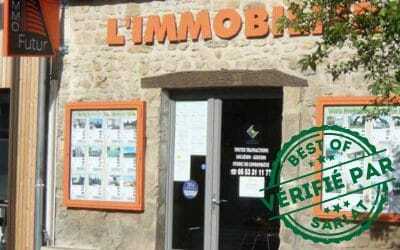 Located on the banks of the river and only 8 kilometers from Sarlat you are close to the biggest sights (Domme, Sarlat, La Roque-GAGEAC, Beynac, the Milandes Rocamadour, Padirac… ECT). 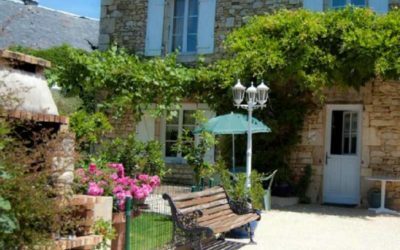 At 5 km from Sarlat, in the heart of Périgord Noir, in the commune of Proissans, Claire-Lise and Eric welcome you to spend a pleasant stay, in a lodging, cottage, chalet or in their campsite. 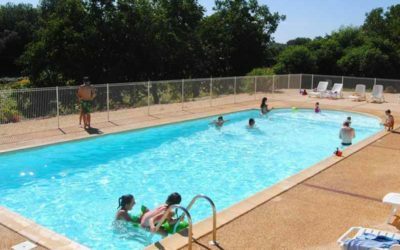 Camping Le jamb, 4 star Campsite, is located in Sarlat on a small hill in Dordogne-Périgord. 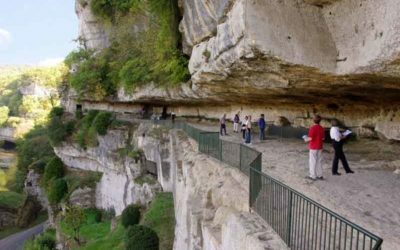 With a length of 1km and a high of more than 80 metres, La Roque Saint-Christophe is the largest troglodytic site in Europe. 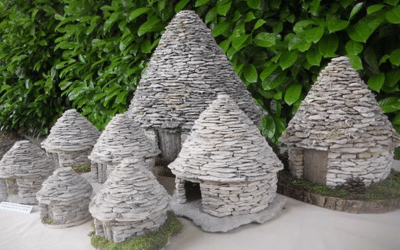 These natural cavities were occupied by man in prehistory and then modified to become a fort and a city from the Middle Ages until the beginning of the Renaissance. The Auberge de Castel-Merle, in black Périgord near Montignac, is located on a very ancient site in the Vézère Valley, which has been inhabited since prehistoric times. 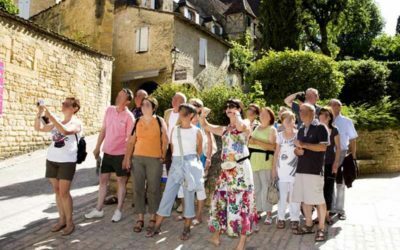 During your stay at the Owls, you can explore the many sights of the Dordogne. 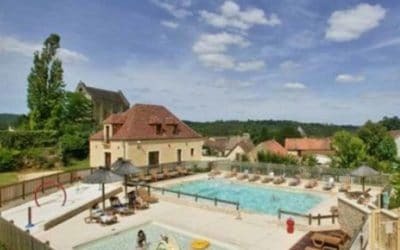 Les Milandes offers a range of exceptional accommodations in the Dordogne. 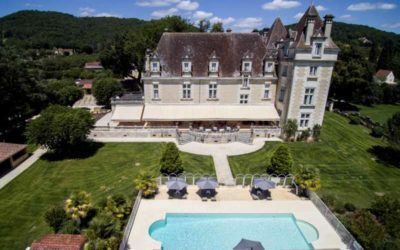 Located in one of the most picturesque regions of France, the four properties offer a breathtaking view of the Dordogne. A castle whose origins date back to the fifteenth century, its more than Centenary Park, its history, its location and its contemporary luxury facilities make this place an unusual place. 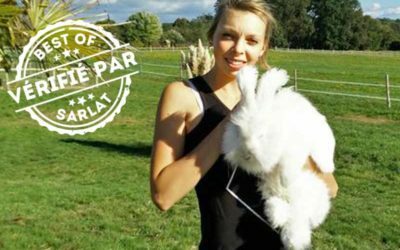 Marie is the youngest Angora rabbit breeder in France. Passionate about a rare profession in France, she will make you discover her animals and their sweet coat. Eve, holder of a BAC science and technology of agronomy and living as well as a BTS production animal option horse riding and Marie Kastner, holder of a BAC driving and management of equestrian companies, welcome you in the heart of the black Périgord to A few km from Sarlat and Montignac. 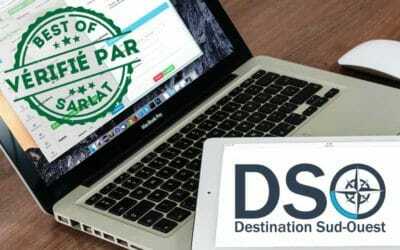 Your WEB agency DSO Communication is located in the Dordogne, in Saint-Geniès. Our team develops your Web sites, E-Commerce shops and proposes you to manage your presence on the Internet by subscribing one of our packages of Webmaster. 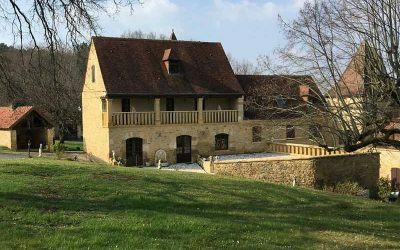 Between Sarlat, Montignac and Lascaux, in the heart of Périgord Noir, Nicole and Jean-Marie Verlhiac welcome you to the farm of Chaffour, in a warm and friendly environment. 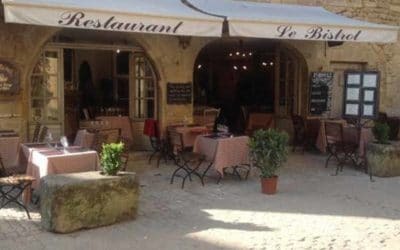 Le Bistrot, restaurant offering regional and bistro cuisine in Sarlat-La-Canéda. 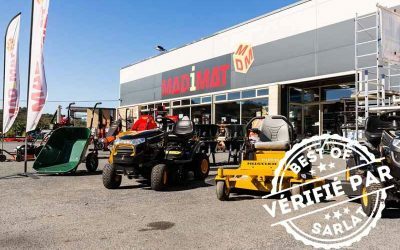 Madimat is a supplier of industrial and agricultural parts and materials in Sarlat. 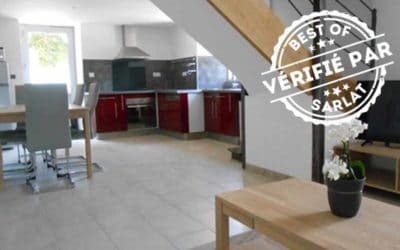 Partner of professionals and private person, Madimat offers you quality products and advice. 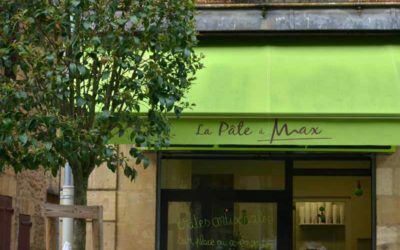 Come and discover in Sarlat, a few steps from the historical centre, the dough to Max. Try a different fast food. You will appreciate the quality and freshness of our homemade pasta, accompanied by delicious sauces. LOU CANTOU is the former house of the blacksmith of the commune. 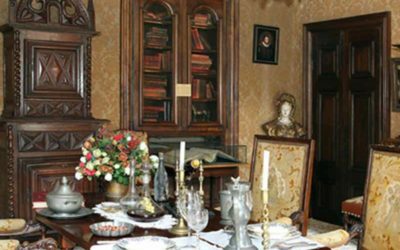 The house has been carefully restored keeping all its authenticity. 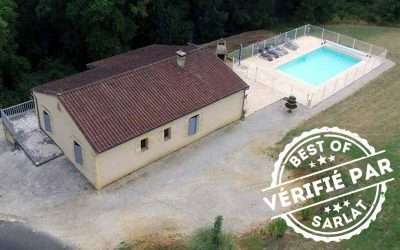 In new Aquitaine renting a gite with beautiful swimming pool can receive a family of 4 people for holidays in the Périgord, B&B labeled Clévacances (3 keys). 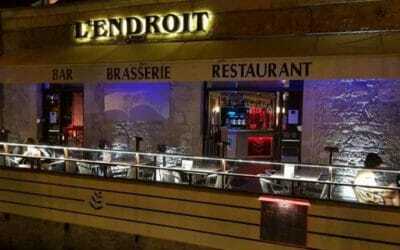 Bar in the city centre of Sarlat. Cafe-Restaurant of the city center. 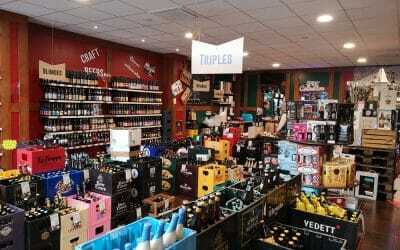 A nice atmosphere to spend an evening with friends or have a drink in the afternoon. 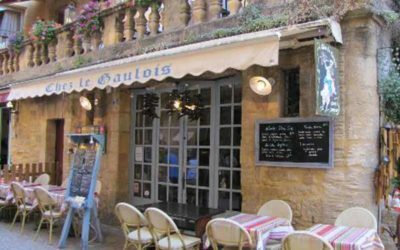 Bar of the city center of Sarlat warm and welcoming. 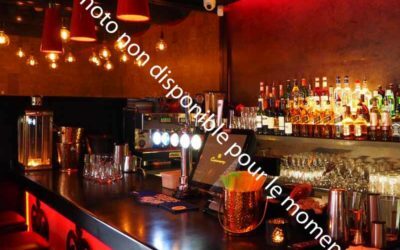 Offers concerts and a generally jazzy atmosphere. 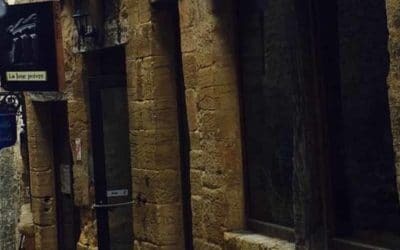 Following a lecturer's guide, discover its winding alleys, its vaulted passages, its cathedral, its mansions from the 15th and 16th centuries. 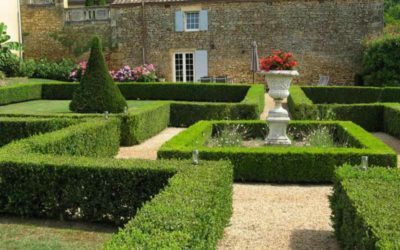 On the heights of Périgord Noir, near Sarlat and Lascaux, Eyrignac and its gardens are a haven of serenity. 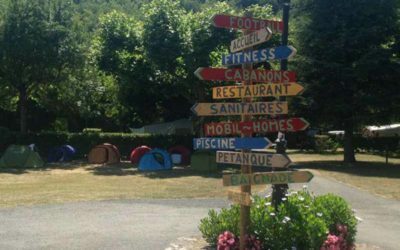 Welcome to Domaine de Monrecour! 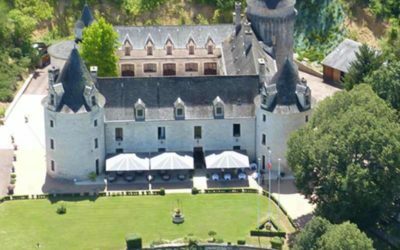 3 star hotel and restaurant in the Dordogne Valley in the heart of the Périgord Noir, country of the 1001 Castles. Burgers and buddies are as simple as that. 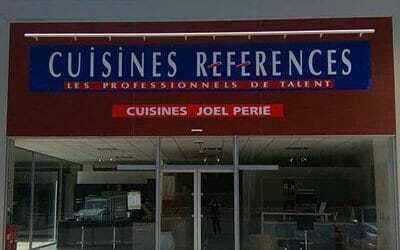 Quality and choice for a good time and a feast. The homemade as we like it. Simple and friendly. 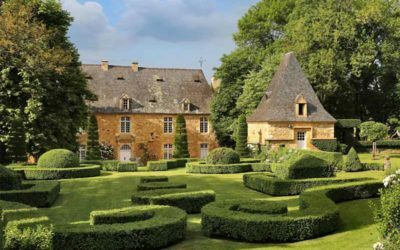 Listed as a historic Monument and located in the old town's preserved area, the Manoir de Gesmundo is one of the most remarkable buildings in the medieval city of Sarlat. 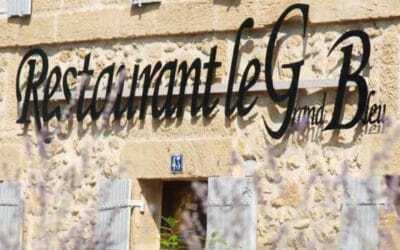 Located in Sarlat-la-Canéda in the heart of the Dordogne, the restaurant Chez Antoine invites you to enjoy traditional cuisine in a cosy setting with a discreet charm that transports you in an exceptional atmosphere. 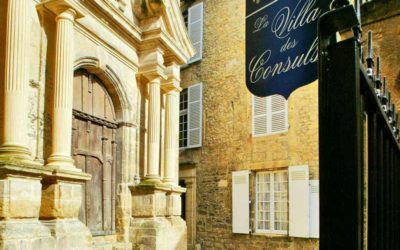 Charming apartments and rooms in the heart of the medieval city of Sarlat. To ensure the best comfort, our rooms and apartments are all air-conditioned, non-smoking and equipped with double-windows on the street side. 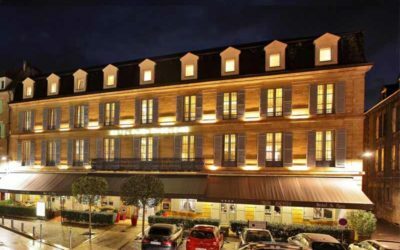 PLAZA MADELEINE Hôtel & Spa, always regarded as the hotel institution in Sarlat is an authentic 4 star hotel located in the centre of the old town. The hotel is ideally located at the entrance of the medieval city with its classified monuments, its markets and shops, its numerous restaurants, its street animations and its shows. 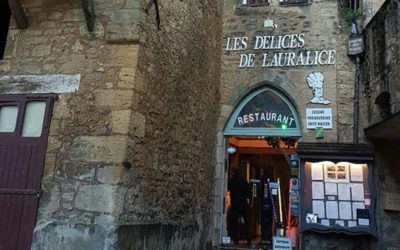 A gourmet restaurant, a Michelin star in Sarlat, the capital of Périgord Noir. The restaurant Le Grand Bleu wishes to propose a gastronomic restoration in a simple, warm and convivial setting. Local specialties, charcuterie and cheese, in a simple setting with hams on the ceiling or on the terrace. 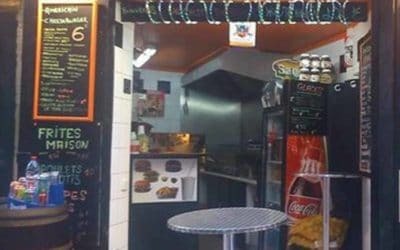 A restaurant offering regional cuisine based on fresh produce. has an indoor terrace.